You don't have to be rich and famous to have gratitude. You don't have to survive a tragedy or overcome a terminal illness to be thankful. No one should wait for these moments to make gratitude matters. It is important to count our blessings no matter where we are in our life today. Let's pause for a moment now ... not later, not tomorrow but NOW to look at our life. Note down the pleasant stuffs, the positive thoughts, the happy moments that you could feel a wee bit of thankfulness. Even if your mind's blocked, write down at least one thing that brings out the slightest positive feeling for you. There's always something to be grateful for. Next, do share it with someone. 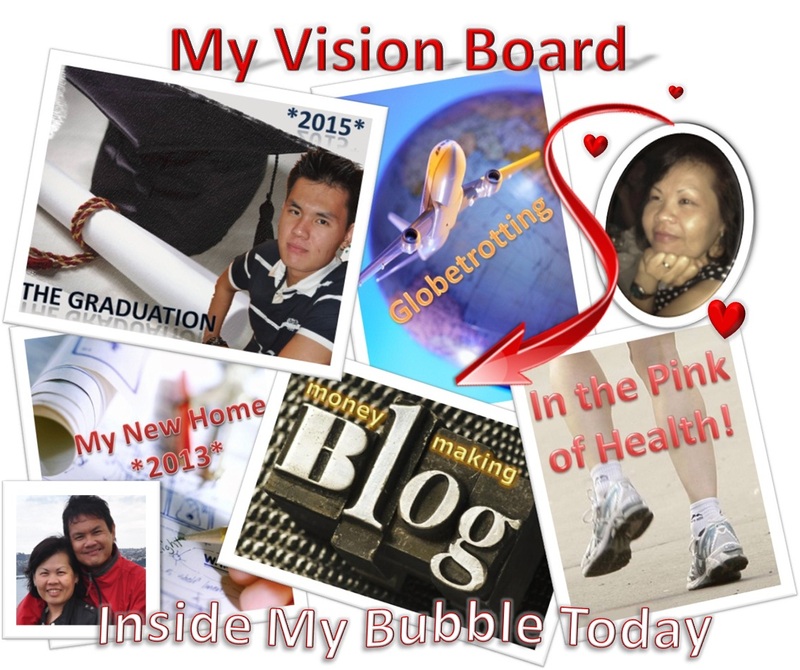 If you're shy or uncomfortable, then share it with me here! 1. I am grateful for everyone in my family. 2. I am grateful for the wonderful health of my family. 3. I am grateful for the peace within my family. 3. I am grateful for the comforts in my life. 4. I am grateful to be able to see the world outside my home-ground. 5. I am grateful for the people who have touched my life. 6. I am grateful for a blissful retirement. 7. I am grateful for a joyful Christmas. 8. I am grateful for a prosperous 2011 and all its abundance. Mike Dooley, author of NY Times bestseller Infinite Possibilities and the scribe behind "Notes from the Universe" explaining the inviolate principle that gives us dominion over all things. It is just three simple words,'Thoughts Become Things!' It is the most powerful principle ever to be discovered by humankind. We all get to choose our thoughts and then we follow our words and our actions craft the reality that we will experience next in time and space. Life is as simple as this. There are no mitigating factors, no caveats, no "sometimes," "maybe's" or "hope so's." According to the law of attraction, people can create their lives on purpose. Anything you want to create is possible as long as you have the desire, intention and persistence. In every age and era, there are people who form strong desires to do something that is important or meaningful with their lives. It can be something simple or something for the greater good of everyone. These people believe strongly in what they want that they think about it all the time, and sometimes seeking help from the Infinite One through their prayers. Desire is the key and you already possess the means to do it which is your Thoughts. Your infinite potential for manifesting is limitless! One cabin-sized trolley luggage and one camera backpack ... I'm all set to go! Hello Taiwan, here I come!! Departing tomorrow at 10.05am, our group which includes another marathoner and his wife will touch down in Taipei after four-and-a-half hours' flight. I've never been to Taiwan yet and it was never on our travel agenda anytime soon. However, since lo kong and the other marathoner, Uncle Chew had made a pact to run two full marathons back-to-back within 2 days over New Year's eve and New Year's day, here's another unexpected destination to add to my globetrotting experience. Lo kong and Uncle Chew will be running at the Freeway No.4 National Marathon in Taichung on 31 December followed by the Jong-liao-shan New Year Marathon in Kaohsiung City the next day. Fingers-crossed, when they finished both races within the qualifying time, we will have 2 fourth-level Iridium Marathon Maniacs!! Uncle Chew is currently the third-level Gold Marathon Maniac as he has already completed more than 18 full-marathons in the last 5 months. Any runners out there interested to be Marathon Maniacs can check it out here. As for me, I am looking forward to the Tastes of Taiwan. Taiwan is well-known for its plethora of street food and it has been said that there is a snack shop every three steps and there's a restaurant at every five. They serve all sorts of Chinese food from roast ducks, Taiwan burgers, hotpots to stinky tofu. Anyhow, first on my list is the Oyster Mee Sua. I've tasted the Malaysian-made and now's my chance to compare with the authentic one. What better ways to find these delicacies than to visit their night markets where these snacks can be found in abundance. 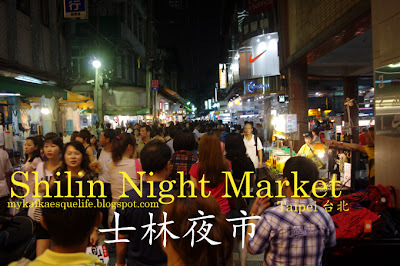 In short, looks like our Taiwanese adventure will be around night markets with a snack gastronomy!! "my kwai-lo blogfriend married & living in Taiwan"
After four days of food exploration in Taiwan, it will be a four-month fat busting punishment back home! It's the season to be merry! It's God's blessing that I am able to be immersed in the festivities of this season of giving. I am jumping and singing with delight! I am swamped in the magical spirit of Christmas. It is not about the presents or any other materialistic things in life but just being present in the moment of festivity and a closeness with the Lord. to gladden your hearts and fill your every desire! Christmas! The very word brings joy to our hearts. It is the gentlest time of the year again and no matter where we are, its magical spell wraps us with affections, hopes, kindliness, merriment and most importantly, gratitude. "This is Christmas: not the tinsel, not the giving and receiving, not even the carols. But the humble heart that receives anew the wondrous gift -- the Christ." As we earnestly celebrate the birth of our Lord, Jesus Christ, we are in actual fact expressing our highest level of gratitude for Him. So, today I am so grateful for the life of Jesus and His eternal presence in my heart. 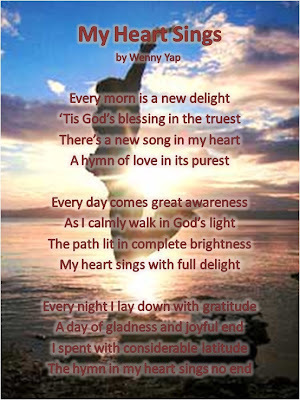 I am grateful for His continuous love and guidance that lighted my path to living my life with meaningful purpose, passion and integrity. I am grateful that I am becoming aware of my divine potential and am given glimpses of being in total oneness with the Lord. In gratitude, I open myself to receive more. Napoleon Hill was born into a poverty-stricken family on October 26, 1883. He started his writing career at the age of 13 and is widely recognized as the founder of modern personal success literature. His most famous written work, Think and Grow Rich has become one of the best-selling books of all time. In this best-seller, Napoleon Hill condensed his formula for success which he managed to learn from his research of over two decades. It is interesting to note that a number of the successful businessmen he interviewed during his research which included Thomas Edison, Alexander Graham Bell, Henry Ford and Andrew Carnegie had all been documented as law of attraction followers. For this very reason, Think & Grow Rich has continued to be an influence in the mastery of the law of attraction. Understanding the law of attraction is one of the important elements that you have to develop in order to create the life you desire. If you have already acquaint yourself with this natural law of the Universe, then you must have heard often times that everything is available for you as long as you believe strongly in it. As you delve further, you will come to realize that your belief is only the first piece of the puzzle that will form that ladder to your desired life. There are several other characteristics that you will need to develop to complete this puzzle. Here is where Napoleon Hill’s formula of success can help you find the missing pieces to the puzzle. 1. Identifying your precise purpose. 2. Cultivating a desire for it to manifest. 3. Recognizing opportunity whenever and wherever it appears. 4. Instilling the persistence to not give up easily. 5. Developing a success consciousness rather than thinking of failures. 6. Training your mind to perceive the advantages and new opportunities in every failure and adversity. 7. Mingling with like-minded people. It is important to always bear in mind that success is not going to happen on its own. Having dreams alone but without any follow-up actions is merely daydreaming. When you have a dream, you have a responsibility to yourself to find a formula for success to achieve it. Each step as highlighted by Napoleon Hill teaches you to think differently from how you have been conditioned until today. They not only assist you to realize your highest potential but also prepare you to face the inevitable challenges, criticisms and doubts that come along during your process of manifestation. These steps may not be an explicit roadmap to the successful manifestation of your dreams but they are instrumental to your mastery of the law of attraction that will unleash your power from within to attain success. Adopting a formula for success can help you master the law of attraction. Following a successful formula can help you minimize any unexpected surprises or setbacks. When you have a dream, you owe it to yourself to find a formula for success to achieve it! The law of attraction is one of the important elements that you have to understand to create the life you desire. According to Napoleon Hill, any formula for success has to include the power of autosuggestion. The subconscious mind must be influenced by emotionally charged thoughts mixed with faith in order to bear results. Autosuggestion develops the mindset of an achiever to become a powerful weapon for you to fend against challenges, obstacles and doubts that will inevitably come your way. The law of attraction teachers and coaches say that these natural law is always working and once you know how to combine it deliberately with a formula for success, you can draw whatever you want from the storehouse of the universe! 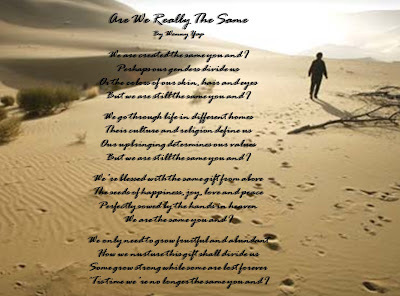 I wrote this poem at the beginning of my journey to redesign my life. A mindset that had been conditioned over four decades still fights back today trying to revert to its old ways but I know the course of my direction has been changed forever and I trust my building momentum is in the right direction. Being thankful I am able to feel the abundance in my life right now. Everything is moving smoothly in the positive direction and I trust my intuition to make the right improvements to be purposeful in my life. 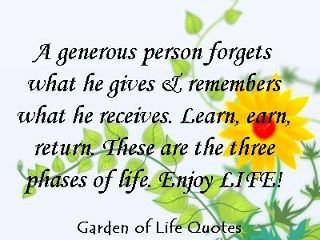 ... we share our abundance by Paying it Forward! "Gratitude equals wealth and wealth equals gratitude" in the words of Steve Pavlina, an American self-help author, motivational speaker and entrepreneur. I am in total agreement with his explanation that we can't feel wealthy without feeling thankful at the same time. And if we are truly grateful, the wealthy feeling exist no matter our actual circumstances. In practising gratitude, we continually build up our positive thinking momentum in order to overcome our negative thoughts of scarcity and dissatisfaction. We learn to be more accepting of who and where we are while subconsciously reprogramming ourselves towards unconditional living. The ultimate goal is to "live simply, give freely and expect less" ... a contented life! 1. 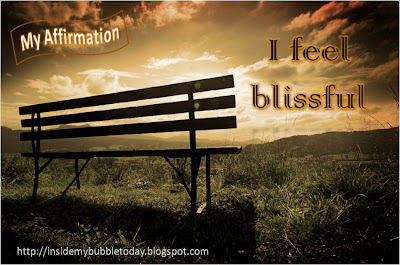 I am grateful that I am gradually releasing the conditioned expectations out of my life. 2. I am grateful for the continual feelings of abundance in my daily life. 3. I am grateful for each and every person, near and far who have continually influenced my existence ... good or bad I am thankful that I am able to learn from them. 4. I am grateful that I am discovering myself every day. 5. I am grateful to have reviewed and revamped my Vision Board in order to strengthen my focus and attention on living purposefully. Check out my new Vision Board below! Reinforced direction for a purposeful life! You are a firm believer in the principle of the law of attraction and you have been applying it in every area of your daily life. However, you do not understand why positive things do not seem to be materializing quickly. How is this so? The simplest way to clarify the situation is momentum. The law of attraction works with momentum. What you want coming into your life may be manifested instantly or it may take a longer period of time to happen. Why? The reason behind it has a lot to do with the strength of your desire, the clarity of your vision and the power of your intention. Before you have ever learned about the law of attraction, you have to understand that most people have been living their life in worry, doubt and indecision. These limiting beliefs breed fear that has been building up a tremendous momentum in one direction. Therefore, while the Universe is orchestrating and rearranging itself to bring to you all that you desire, it will at the same time allow you the time needed to wrangle with your choices and all the varying aspects, elements and options that may come to your mind in order to strengthen your intentions and focus. The more limiting beliefs you have will determine the amount of time you take to change course. You need to be patient and reset your coordinates before you can start heading in the opposite direction of positive thinking. It is something like driving on a narrow street and trying to make a 3-point turn to get back in the direction you were coming from. Slowly but surely you will make it out of the tight spot. The time you take to get onto the right direction is also determined by your willingness to make changes. The more open and willing you are to learn and grow, the shorter the time you will turn around and gather momentum in the opposite direction and start attracting what you desire and deserve in your life. Once you are certain with your choices and intentions, you must always remember the equation to the law of attraction: "Thoughts + Feeling + Actions = Results"
Having the right positive thoughts and feelings accompanied by inspired actions will increase your momentum exponentially. Do not be overly concerned with trying to change your life overnight. You will not be wrong to believe that with each positive change you subscribe to, a snowball effect has been activated to bring you many steps closer to your desires and more. Eversince my return from Singapore a week ago, I have been listless and lacked inspirations to pen any articles and poems. Thankfully, I managed to complete my assignments without a hitch. I've got a running nose, sore-throat, cough and luckily minus any fever. It's put me back for more than 10 days now from hitting the gym. Furthermore, there is these mysterious breakouts all over my face which started while I was in Singapore. At first I thought it was caused by the hotel towel but since it has been getting worse by the day, that could not possibly be the reason anymore. The only change in my daily personal care regimen is the inclusion of a new facial wash. It was supposedly a natural-based Aloe wash but I am discontinuing for awhile to see the outcome. These breakouts are really adding to the weariness of the moment. I NEED a cheer-up!! 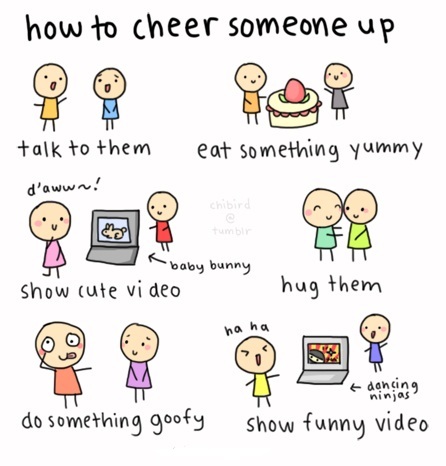 to try to cheer somebody else up! Everyone is born with the same birthright to life. It is a matter of how and when we claim that birthright that determine the difference between one and the other. I am grateful that everything is flowing smoothly and calmly in my life. I am continually blessed with positive energies that I feel enriched in my mind, body and spirit. Fourteen days more and it is Christmas. Twenty days more and it will be the close for the year 2011. Will it close with a bang for you? So much yet so little brewed, expectations fulfilled yet disappointments endured but the unexpected never failed to save my day! While there may be many excitements and accomplishments, not everything comes out rosy all the time. Still, life moves on. As they say it, “Life is a one-way street” and we just have to enjoy every moment of it as none will ever happen the same way again. Anyway, things will be a little different for 2012. I have decided to forego my annual resolution list for next year. Yes, that’s right! I am letting go of the list of goals and targets. I am simply going to follow the flow where the good things are currently happening in my life. However, just to maintain the clarity and focus in mind, I’ll just have to revamp my vision board to suit the dynamics of changing time and circumstances in my life right now. I know life’s little twist and turns are not always easy but as long as I am sure where I am headed in my life, I will continually enjoy the journey and not just the end results. After all this is why I had opted for early retirement in the first place. 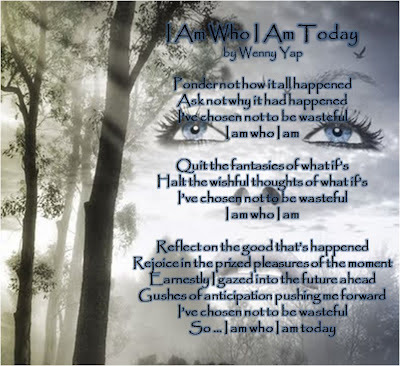 To live life by my own design … doing what, when, where, how and with whom I so decide! ˚ ˛ •˛• ˚ ｜ 田田 ｜門｜ ˚And a Happy New Year!!! Joined lo kong and friends at the Standard Chartered Marathon Singapore over the weekend and returned past midnight Tuesday. As I picked up the daily rhythm again while fulfilling some assignments, I have gone from tired to lethargic to under-the-weather. Despite the draggy pace, the week just zoomed by so very quickly. It's reflection time again ... let's talk about gratitude! Gratitude is a really powerful tool that will assist us to live a more meaningful life. However, some may ask how can they feel gratitude when they do not feel like they have anything to be thankful for. Life is precious and so is time. Sometimes we will never know the true value of a moment until it has become a memory. If we learn not to take things for granted, there will always be something to be grateful for regardless it is big or small or whether our life is good or miserable. The choice is yours! 1. I am grateful that the whole family had a safe trip to Singapore. 2. I am grateful that both lo kong and son successfully completed their respective races at SCMS 2011. 3. I am grateful for the variety of travels lo kong and I made this entire year and with the year drawing to a close, we will be celebrating New Year in Taiwan. 4. I am grateful that my son has successfully completed his work internship for his college diploma. 5. I am so grateful that many of my dreams have manifested into reality and many more are in the works! Heavenly Father, thank You for Your peace that rules my heart. I choose Your peace today and thank You for guiding my every step. I choose to be thankful today and bless You for Your faithfulness. Law Of Attraction: Is Patience Your Missing Link? Do you put a timeframe or deadline on your desires to get manifested? Sadly if you do, this will be a compulsion that will simply impede the progress of your manifestations. Your need to control when and how your manifestation becomes a reality tantamount to unrealistic expectations. Unfulfilled expectations within your set timeframe can lead to disappointments. Disappointment is the big ‘No-No’ that can have an unfortunate trigger to break down your belief system that the law of attraction is working for you at the moment. When you truly believe in the power of the law of attraction, you know you can handover your trust to the Universe to know what’s best for you. You will allow time to run its course before you ‘reap what you sow’ and meanwhile allow yourself to relax and go with the flow. This is called patience! Patience must be cultivated and it is one of the most challenging traits to be instilled as a habit. 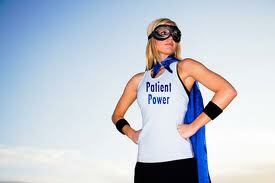 Lack of patience can have drastic effects on both your personality as well as your health. Impatience creates irritability, anger, stress, hastiness and dissatisfaction that will take away your ability to deal with instant gratification even when blessings are sitting right under your nose. You lose control of your positive thought patterns and emotions which will not augur well for the law of attraction to work in the way you want it to. All the rushing and chaotic energy you put forth will only serve to bring more of the same to you. You’ll just be like running a race that sees no ending line. You turned into a pessimist with life and end-up being a magnet that attracts all the things you do not want into your life. You must have heard of the saying that “Patience is a Virtue.” Where the law of attraction is concern, patience is an important link to keep your belief system intact. Having patience is to believe that you deserve all the good things in life, believing that everything has been set in motion for you right now, believing that it is coming your way this instant and believing in the Universe to know the perfect time and place for the good things to happen in your life. When you realized the significant correlation between patience and the law of attraction, you will understand that nothing happens before its time. You will not be able to make things happen any faster than they are going to. You just do your part and the Universe will do its part as the law of attraction continually brings about more of the positive energies you are giving out. Patience allows you some space for stillness and reflection where you will have the opportunity to draw on inspirations and listen to ideas that inspire you into action to move steps closer to your desires. You are more focus, productive and enjoy all the things that are unfolding before you. When you are patient enough to wait for your desires to be manifested into reality, you are in actual fact increasing your self-belief, a trust in yourself to do the right thing. Be mindful that using the law of attraction to manifest your desires is not something that happens overnight. John D. Rockefeller, Oprah Winfrey, Richard Branson or even J.K. Rowling did not become rich and successful overnight. Each of them had adopted patience to link them to their fortunes. Life is abundant with limitless possibilities. I have chosen not to waste my time on the what ifs or the sad and hurting past but to live with the moment and improvising towards the future. Life is precious and time is precious too! The choice is in my hand ... to get stuck in the past or to adapt to my present in pursuit of my ultimate destination ... JOY! Some outcomes may not have been my original intention but every experience in my life today is a clear indication that everything in my life is going to work out just fine. Today I am at ease with my circumstances and my eyes are opened to the good of God. I thank the Lord for all the blessings that He continually grant to me and my family. Gratitude is an emotion that will definitely benefit everyone. It is the key to open the door for joy to flow into our life. How can there be happiness where there is no thankfulness? Happiness begins with gratitude which leads to a sense of inner peace with an acceptance that everything happens for a good reason. No one can be happy and sad all at the same time. It is just impossible. If we can list as many of things we can be thankful for at this present moment in our lives, we will be moving further away from sadness and a whole lot nearer to happiness. Unlock the joy in our life by adopting an attitude for gratitude and there's no doubt you will begin to see the difference. 1. I am grateful that my blog has survived all 3 years of steadfast blogging. 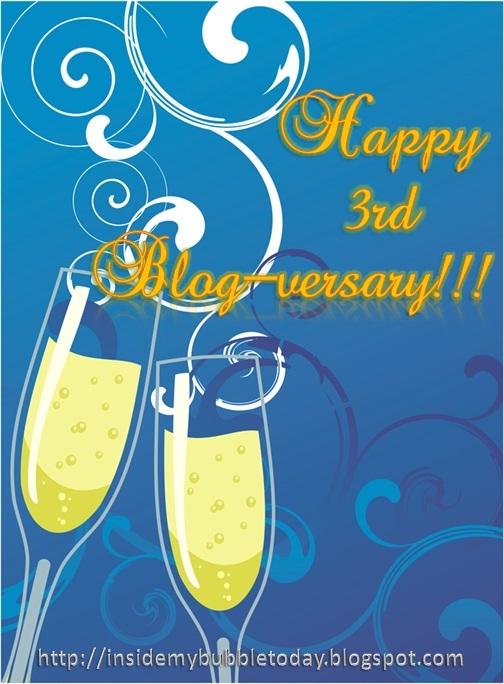 This week I celebrate my 3rd Blog-versary! 2. I am grateful for the tremendous increase in the traffic to my blog. I am so happy that my blog has been receiving an average of 10000 pageviews the past few months. 3. I am grateful that the whole family is now in Singapore. It's been a while since the whole family traveled together due to Nick's studies and work commitments. 4. I am grateful that the injuries to my legs are showing signs of improvement as I am able to pick up a 10km distance on the treadmill again although I am still cautious of the pain in my right knee and heel. Law Of Attraction: Seek Out Joy And Abundance Follows! You are reading this article right now because you have made a choice to be here. My warmest appreciation goes to you for your interest in this read. Where do you go from here is again based entirely on your next decision. Obviously you and I are likeminded people. We share an interest in the most powerful tool from the Universe. Your attachment to the law of attraction clearly represents your intention to use this universal law to add value to your life’s journey. You have made your choice and have chosen to intentionally and deliberately use the law of attraction to benefit yourself. We all know that the law of attraction depends very much on our feelings and thoughts. How you feel and what you think constantly influence the state of your attraction. The Universe is constantly listening to your vibrations irrespective it is positive or negative. The more you have the feel good thoughts the higher you vibrate your positive energies to the Universe. Just like any practitioner of this universal law, you and I seek to enjoy a meaningful life where joy and abundance prevails. Therefore, all we want is to vibrate only positive energies and the higher the better. So what is Joy? Joy is a celebration of your happiness from the immense positive emotions driven by your gratitude for everything that is happening in your life regardless good or bad. Gratitude in all things makes you feel that your life is on track and being thankful changes your thought patterns from the negative to the positive. 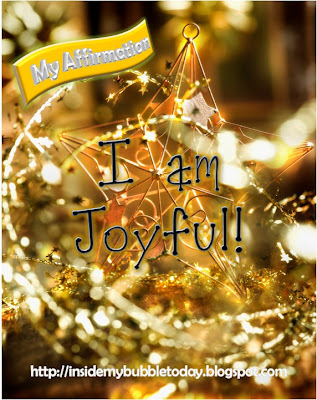 Joy elevates your positive energy to a constant state of positive attraction. The law of attraction says, “like attracts like.” So when you have found joy, you are in harmony with the Universe and you will attract all the things, people and events that are aligned with your desire. You are connected to the Source of all things to receive all the abundance that have been waiting for you. Does this sound simple? Maybe yes and perhaps not but it is entirely up to you to decide. Life is precious and time is as precious too. The choices you make today determine how well you will live your life with every next second of the day. Therefore, it is worthwhile to put whatever matters to you most right at the forefront. For a start, you can figure out all things that make you thankful today. The law of attraction is constantly at your disposal. It is always there whether you are aware of it or not and it works. Seek out your joy now by allowing your gratitude to grow on you and intensify your positive energies. While you enjoy life’s journey by living consciously in the present and celebrating every moment that come to pass, you are strengthening your power to attract more abundance into your life. There are no promises that your life will instantly change for the better just by reading this article. Your actions after this will have a lot to do with your success. This is merely an encouragement for you to adopt a powerful law from the Universe that is readily at your disposal to make a big difference to the quality of your life journey. The law of attraction opens the door to abundance and only requires from you one simple task … to seek out the joys in your life regardless of the situations that may be circulating through your life. Joy is the positive emotion of celebrating happiness and gratitude. It has been said to be the core of every inner being. You can’t control how others feel and think but you can certainly control your own. 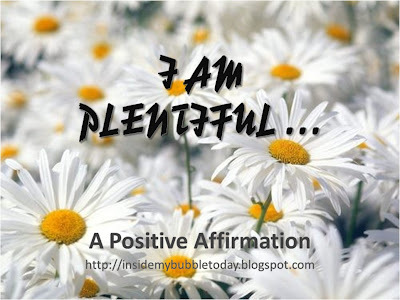 Your deliberate choice of feel good thoughts allows you to connect with your inner being … the person you truly are. When you are connected with your inner being, your joy becomes automated and you will predominantly be in a state of positive attraction. Find the time to write down your gratitude list and tune in with your inner being to activate those joys in your life. The more you focus on your joys, the higher your positive attraction. The higher your positive attraction, the clearer and purer your positive signal is sent out to the Universe. In return, the more abundance is delivered to you. "Seek joy. Seek joy until you know that you cause joy. Cause joy until you know you are joy."